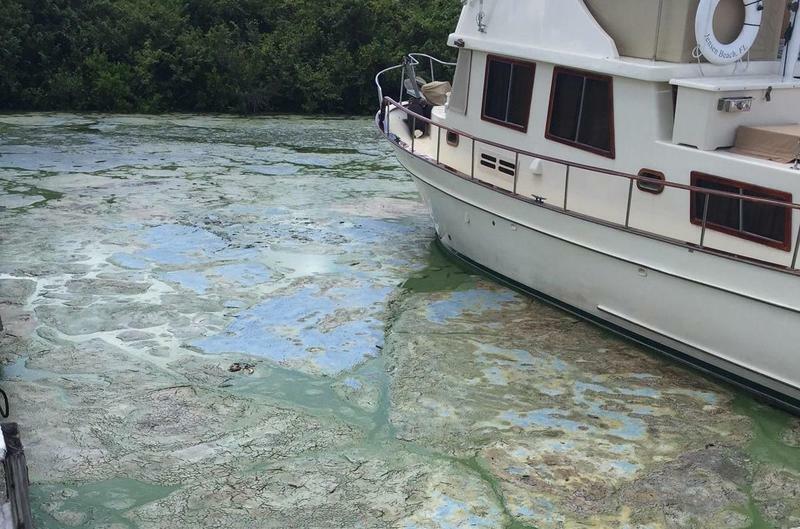 Blue-green algae blooms that devastated Florida's coasts last summer contained as many as 28 types of bacteria, some of which can harm humans. That's according to scientists at the U.S. Geological Survey, who tested water taken from Lake Okeechobee and the St. Lucie Estuary last June and July. In a new study, the researchers report the bacteria behind the blooms is Microcystis aeruginosa, which can cause liver damage. They say other bacteria found in the blooms produce neurotoxins, and the algae also can cause rashes, respiratory irritation and vomiting. "There are a multitude of species, each with their own ability to create blooms... and many with the ability to create toxins harmful to wildlife or people," lead author Barry Rosen said in a USGS press release. "It's not just a single organism out there that has the potential to cause a harmful algae bloom." Last year, discharges of excess water from Lake Okeechobee catalyzed an eruption of blue-green algae blooms on both of Florida's coasts. 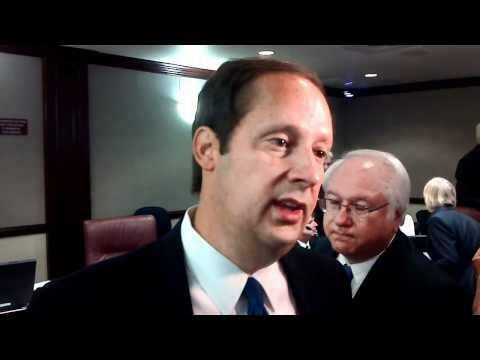 The algae killed fish, nauseated residents and choked tourism in coastal cities, leading Senate President Joe Negron to push for a reservoir plan intended to limit future Lake O discharges and help restore natural water flow through the greater Everglades ecosystem. The USGS researchers say fertilizer in water from lawns and agriculture contributes to the blooms, as does water that’s warm and slow-moving. Rosen says his team is working to understand why blooms may or may not emerge under similar conditions. A spokesman for the South Florida Water Management District says no organized blooms have been reported this year. South Floridians are seeing the impacts of climate change firsthand, in sunny-day flooding and record-breaking temperatures as recently as Memorial Day weekend. That's why for many, President Trump's decision Thursday to withdraw the U.S. from the Paris climate accords constituted a betrayal. Last summer’s wave of local transmission of the Zika virus hasn’t yet bled into 2017 , but officials from Key West to West Palm Beach are gearing up for another round of mosquito control by creating new staff positions, adding more equipment and increasing outreach efforts. Gov. Rick Scott will sign a bill that includes money to speed construction of a reservoir south of Lake Okeechobee — a top priority of Senate President Joe Negron, R-Stuart.